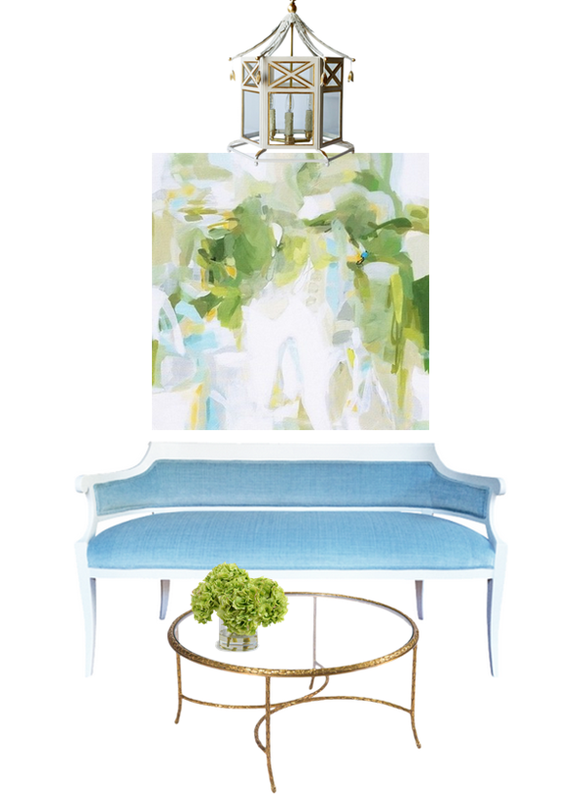 In just a couple of weeks I'm going to have an entry with a custom designed Coleen & Company pagoda lantern and a wall of art by Christina Baker joining my newly transformed settee. Cannot wait to see these items together in my room. While the paintings and the lantern I'll receive won't look like what I have on this board, it was so much fun to play. The lantern above is Coleen & Company's Audrey, and this Christina Baker painting is Whispering Marsh.